A new witness has come forward in the search for the body of a young mother who disappeared 26 years ago. 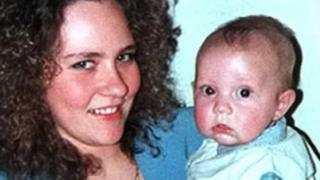 Nicola Payne went missing while walking across wasteland near her parents' house in Coventry in December 1991. Police said a person had come forward with new information, following a search by private forensic teams at a country park to try to locate her body. The team said the new information would help them plan future searches at specific locations in the park. On Thursday, the force said a £100,000 reward was being offered for information about Miss Payne's disappearance. Peter Faulding, the CEO of Specialist Group International, the firm that is leading the investigation in Coombe Country Park, said he remained confident he would find the teenager's body. Mr Faulding, whose previous investigations included the search for April Jones' body, said the park was a, "vast area". "We have had a team of divers in the water, looking on the lake beds and we have been using ground-penetrating radar to look at specific areas of woodland," he said. Mr Faulding, who is working with the support of West Midlands Police, said the new information would direct future searches to look at the area around Coombe Abbey "and another area as well". It is believed the 18-year-old mother-of-one was murdered after leaving her young son at her parents' home to walk a short distance to visit her boyfriend. Her father John said it would "mean everything" to find the teenager. "All I want is to find her and bring her back home and lay her to rest," he said.